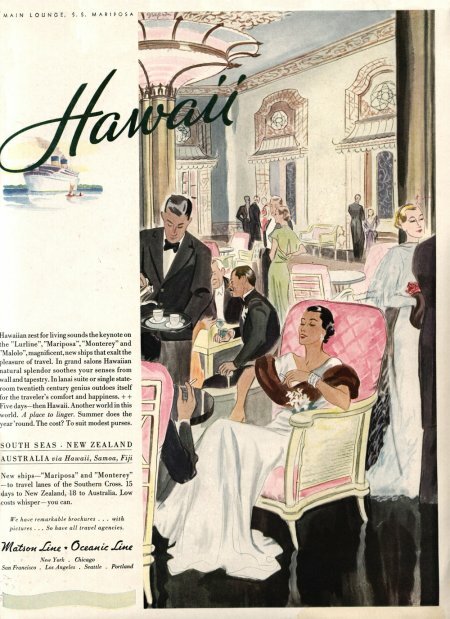 Home / CRUISING THE PAST / Cruise Ship History: This is MGM’s 1930s musical HONOLULU aboard Matson Line’s SS LURLINE starring Gracie Allen and Eleanor Powell. When getting there was half the fun! Cruise Ship History: This is MGM’s 1930s musical HONOLULU aboard Matson Line’s SS LURLINE starring Gracie Allen and Eleanor Powell. When getting there was half the fun! CAPTION FROM SHIPBOARD PHOTO WHEN GEORGE AND GRACIE ALLEN TAKE THEIR CHILDREN TO HAWAII IN 1939. 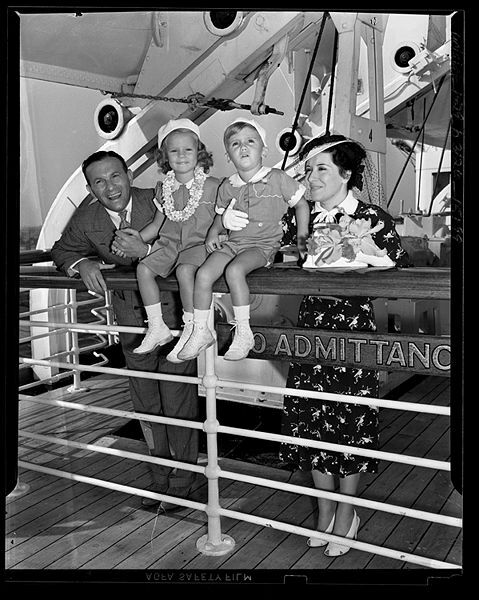 George Burns and Gracie Allan, comedians of radio and screen fame, shown with their children aboard Matson Line’s flagship SS Lurline in Los Angeles Harbor just before they sailed for Hawaii for a three-week vacation. The children are Sandra Jane and Ronald John. William Matson had first come to appreciate the name in the 1870s while serving as skipper aboard the Claus Spreckels family yacht Lurline (a poetic variation of Loreley, the Rhine river siren) out of San Francisco Bay. Matson met his future wife, Lillie Low, on a yacht voyage he captained to Hawaii; the couple named their daughter Lurline Berenice Matson. Spreckels sold a 150-foot brigantine named Lurline to Matson so that Matson could replace his smaller schooner Emma Claudina and double the shipping operation which involved hauling supplies and a few passengers to Hawaii and returning with cargos of Spreckels sugar. Matson added other vessels to his nacent fleet and the brigantine was sold to another company in 1896. Matson built a steamship named Lurline in 1908; one which carried mainly freight yet could hold 51 passengers along with 65 crew. This steamer served Matson for twenty years, including a stint with United States Shipping Board during World War I. William Matson died in 1917; his company continued under a board of directors. Lurline Matson married William P. Roth in 1914; in 1927 Roth became president of Matson Lines. That same year saw the SS Malolo (Hawaiian for “flying fish”) enter service inaugurating a higher class of tourist travel to Hawaii. 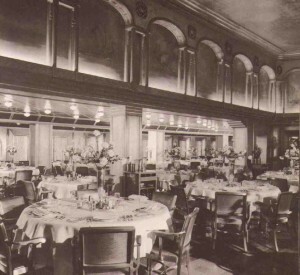 In 1928, Roth sold the old steamship Lurline to the Alaska Packers’ Association. That ship served various duties including immigration and freight under the Yugoslavian flag (renamed Radnik) and was finally broken up in 1953. 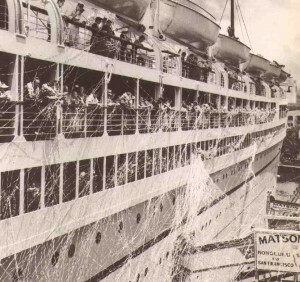 In 1932, the last of four smart liners designed by William Francis Gibbs and built for the Matson Lines’ Pacific services was launched: the SS Lurline christened on 12 July 1932 in Quincy, Massachusetts by Lurline Matson Roth (who had also christened her father’s 1908 steamship Lurline as a young woman of 18). On 12 January 1933, the SS Lurline left New York City bound for San Francisco via the Panama Canal on her maiden voyage, thence to Sydney and the South Seas, returning to San Francisco on 24 April 1933. She then served on the express San Francisco to Honolulu service with her older sister with whom she shared appearance, the Malolo. 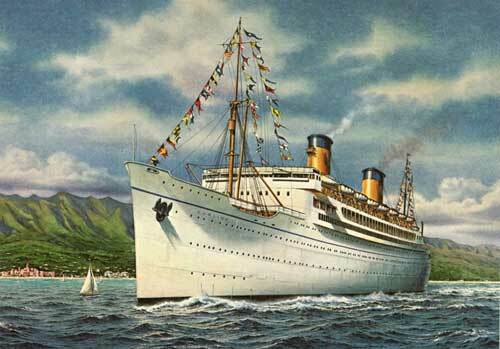 Lurline was half way from Honolulu to San Francisco on 7 December 1941, when the Japanese bombed Pearl Harbor. She made her destination safely, travelling at maximum speed, and soon returned to Hawaii with her Matson sisters Mariposa and Monterey in a convoy laden with troops and supplies. She spent the war providing similar services, often voyaging to Australia, and once transported Australian Prime Minister John Curtin to America to confer with President Roosevelt. Lurline was returned to Matson Lines in mid 1946 and extensively refitted at Bethlehem-Alameda Shipyard in Alameda, California in 1947 at the then huge cost of $US 20 million. She resumed her San Francisco to Honolulu service from 15 April 1948 and regained her pre-war status as the Pacific Ocean’s top liner. 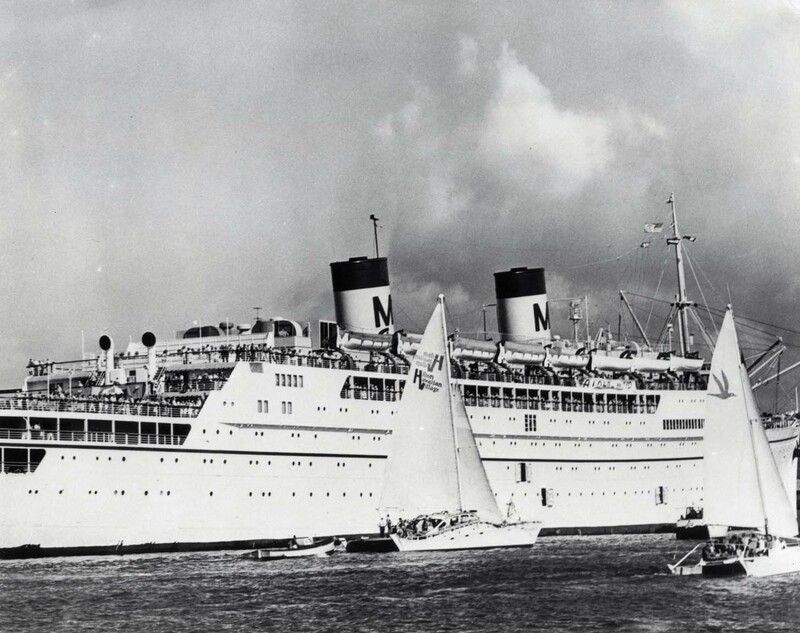 Her high occupancy rates during the early 1950s caused Matson to also refit her sister ship SS Monterey (renaming her Matsonia) and the two liners provided a first class only service between Hawaii and the American mainland from June 1957 to September 1962, mixed with the occasional Pacific cruise. Serious competition from jet airliners caused passenger loads to fall in the early 1960s and Matsonia was laid up in late 1962. Only a few months later, the Lurline arrived in Los Angeles with serious engine trouble in her port turbine and was laid up with the required repairs considered too expensive. Matson instead brought the Matsonia out of retirement and, characteristically, changed her name to Lurline. The original Lurline was sold to Chandris Lines in 1963. Next: Cruise and Air Ship History: The Graf Zeppelin – The first flight of an airship around-the-world. William Randolph Hearst financed the flight in 1929. It took 12 days and 11 hours.